An evening with Bill Burr, and the loss of a comedy legend. – Hello, I'm Marc Lagace! 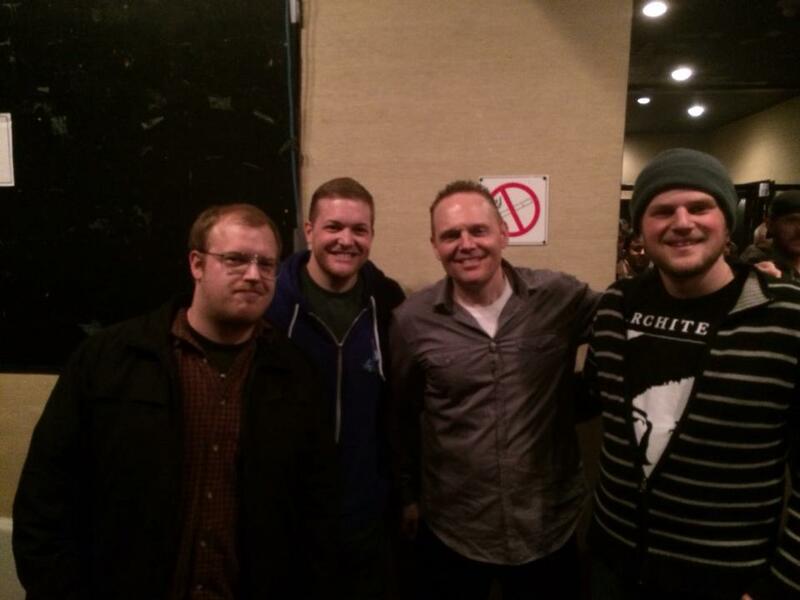 Last Thursday, I got to check out one of my favourite working comedians, Bill Burr. He came through Winnipeg as a part of a Canadian tour presented by Just For Laughs, along with his opening act Paul Virzi. Virzi did a great job of warming up the crowd for Burr. I had not seen Virzi stand up before, but was pleased to find that his delivery style was very similar to Burr’s. He was a fantastic choice to join Burr on his tour, and I enjoyed his set. Burr was amazing. With over 20 years of stand up experience under his belt, Burr was able to weave over an hour worth of material that covered such topics as ghosts, his new marriage and his musings on intolerance in society. Burr had me laughing so hard that tears rolled down my face, and that is no exaggeration. I get real sloppy and wet when I get caught up in a good laughing fit. I bought tickets with Brett Madill and Tyler Penner, two of the funniest dudes I’ve met in CreComm. Both Brett and Tyler have experience on stage, unlike myself, so it was fun to hear an ‘insider’s opinion’ of the show on the walk back to the car. The three of us lucked out and were one of the first in line after the show to get a photo with Bill! On Saturday, the comedy world lost David Brenner, who passed away after a lengthy battle with cancer at the age of 78. Brenner first ventured into the world of professional stand up comedy in 1969. He made his television debut in 1971 on The Tonight Show with Johnny Carson. He quickly became one of Carson’s favourite comedians, appearing on the show over 100 times, and becoming a frequent Tonight Show guest host. He was an influence for countless comedians, as illustrated by the outpouring of support that was shown. I remember watching Brenner perform on television at the Just For Laughs comedy festival in Montreal. Those performances must have been from the 90s or early 2000s, and even decades into his career, he was still killing it on stage.